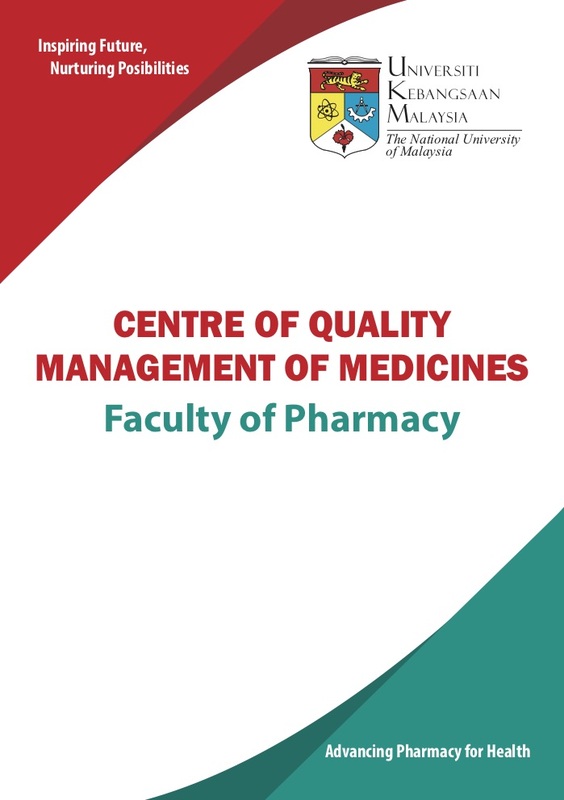 The Centre of Quality Management of Medicines is one of the research centres in the Faculty of Pharmacy UKM, and unlike the other research centres, one that is more practice oriented and concentrates more on the study of the actual usage of medicines, policies that a ect medicines and their usage and research that will result in better outcomes for patients. 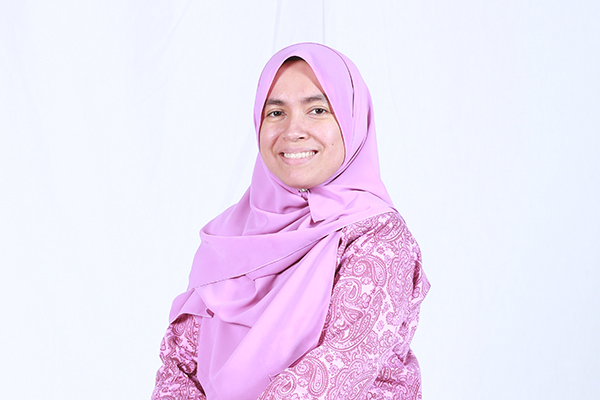 The research centre is relatively young, both in its existence and in the age of its members, and looks forward to collaboration with researchers, clinicians and pharmacists in practice settings in the Ministry of Health, pharmaceutical industry, academia and the private sector. To be the forefront in pharmaceutical care and health policy research that will impact better use of medicines and improve health outcomes. Translation of pharmaceutical research outcome and expertise to impact changes in health policy. Promoting the safe and cost-e ective use of medicines and practices. Optimise the delivery of pharmaceutical care and clinical pharmacy initiatives. Enhance professional development of healthcare providers, relevant to changes and developments in society and sciences. Enhance the quality of information about medicines provided to the public and healthcare providers. Drug utilisation review of antibiotics in special patient groups. Drug utilisation review of antihypertensives, drugs for diabetes and for hyperlipidaemia and fertility drugs. Drug use and safety in patients with renal impairment. The unlicensed and off-label use of medicines in children. The relationship between blood concentrations of antibiotics and response to antibiotics in critically ill patients. Antibiotics of interest are glycopeptides and aminoglycosides. Identification of genetic markers related to pharmacotherapeutics in diabetes mellitus and epilepsy using single nucleotide polymorphism and microarray analysis. Identification of errors in prescriptions and dispensing of medicines. Practices on the safe handling and disposal of medicines. Evaluation of the adequacy of information provided on the labels of medicines and the development of labels that are more e ective and “user-friendly”. Assessment of adherence to medication instructions among adults and children with chronic illnesses and the study of factors that in uence adherence. Introduction of interventions to promote adherence. Research on the knowledge, attitude and skills of pharmacists and programmes to enhance these attributes. Undergraduate/ Postgraduate education including curriculum development, teaching and learning and student assessment. Continuing Professional Development. Research into the use and misuse of drugs amongst athletes and sports personalities.